The Community Spoke! is permanently closed. This archived page is for information purposes only. 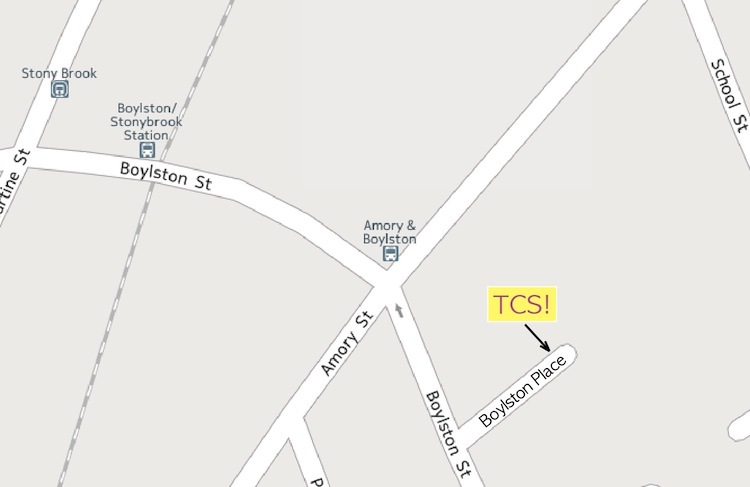 We run a free, fully equipped community bike shop located at 10 Boylston Place in Jamaica Plain (a neighborhood of Boston, MA). We offer the free use of our tools, resources, and spare parts at our shop and would love to show you how to work on your bike! and we host a women and trans-folk only night the third Monday of each month from 7-10PM. The Community Spoke! is a collectively run organization that encourages empowerment and personal freedom through cycling. The Spoke! is a non-hierarchical, consensus based and independent group without corporate or political sponsorship. We provide bicycle repair services, instruction, and bike parts for free to the Greater Boston area. In addition to providing mechanic services at mobile, bicycle-powered repair clinics, we offer technical know-how, tools, workshop space, and a creative and supportive environment for everyone. Our community workshop and mobile repair stations are safe spaces free from oppression, violence and weapons and are open to all, with a focus on being most accessible to those who are underserviced and underrepresented by bike shops. We encourage anyone who loves bikes to join us. -We love bicycles. They are revolutionary. We want more people riding. -We are a collectively-run organization. This means we organize without hierarchy and make our decisions through consensus. -We seek to challenge the root causes of social and environmental injustice by creating community-based alternatives and fostering a spirit of mutual aid. -We are a group that draws from many walks of life and we are open to anyone who would like to participate. -We are an independent group and we will not allow any group or individual who has made a monetary donation to dictate how we spend our funds or make our decisions. -We provide materials and services free of charge. However, we appreciate donations of volunteer work, supplies, goodwill or money. -We will only use funds provided by donations. All donations we receive will go only to purchasing materials and tools, never for our own personal gain. -We will not accept political or corporate sponsorship. -We will attempt to reuse materials wherever possible and will always recycle our waste. -Our free mobile clinics are intended to provide roadside repair and adjustments to those who need it. Since all of our equipment is transported by bicycle, we generally don’t carry specialty tools required for high end fine tuning. The main focus of our clinics is to make bikes safe and rideable, although we may not always have the resources available for complex or time consuming repairs. -We are part of an ongoing effort to create a community that promotes cycling. We want to foster solidarity between cyclists and their communities.